Ranbir Kapoor is back again to entertain audience with his mesmerising acting along side with ever gorgeous Katrina Kaif with the film Jagga Jasoos. This is a great fun and adventure to watch the film. The movie is hitting theatres today and will be a great watch. The movie has an another advantage with the Director Anurag Basu, who is experienced and has good story lines in his past films. Unfortunately, the film faced many troubles during its shoot including the highly publicised break-up of Ranbir Kapoor and Katrina Kaif. A guy named Jagga (Ranbir Kapoor) who is left behind in a child school and a day care, which became the guy’s everyday care since his childhood. He will be waiting for his father to return and take him to home. He will be counting the days, but one day he loses all his hopes that he will never come back. But, the same day, young detective sets out to find his missing father that takes him on a life-changing adventure along with Shruti (Katrina Kaif) who joins him in the adventure. While people tell him that his father died in a car crash, he doesn’t believe them. And hence starts a whole chase sequence where bad guys are after him. He is accompanied by a journalist Shruti. Another important detail is the fact that Jagga stutters since birth and therefore sings in situations. 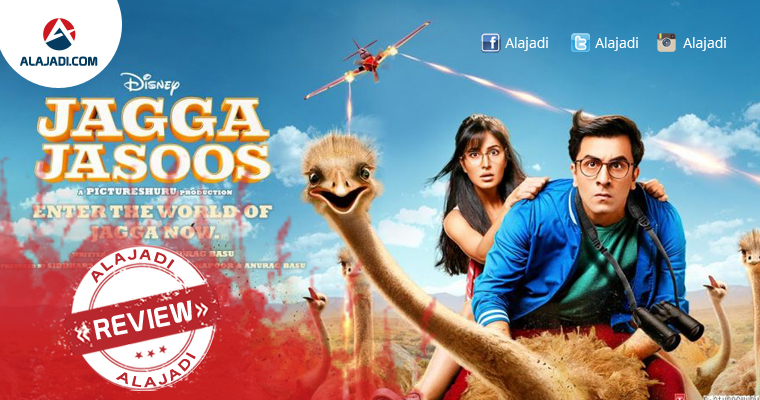 Jagga Jasoos is an Indian musical adventure romantic comedy film. The first thing which makes me remind of the movie is excellent taking by Anurag basu who did an exceptional job with a small story line. The scenes were good and of course the performance of Ranbir Kapoor and Katrina Kaif steals the show all the way. 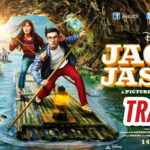 Though the film has seen countless delays, its success could prove to be a game changer for Disney in India as there are multiple elements that suggest that it is a typical Disney film. It is in many ways similar to Disney films like Cinderella, Beauty and the Beast, Sleeping Beauty, Snow White and the Seven Dwarfs and The Jungle Book. Ranbir Kapoor: He is the Soul of the Movie. He gave Career Best Performance ever. 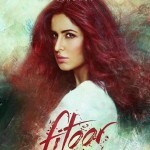 Katrina Kaif: Her energy knows no bounds, and who is outspoken. The film has been co-produced by Disney and is a musical with nearly 30 songs. Pritam has composed the score for the film, promising a different experience of musical narrative altogether. Going by the teasers, posters, and trailers released by the makers, the film is completely relying on a stammering Ranbir’s antics, his expressions and of course a beautiful companion in his journey, Katrina. Cinematographer Ravi Varman has shot extensively in Thailand, Darjeeling and Morocco to give Jagga Jasoos the feel of a fantasy land. A closer look will also reveal its reference points.